I've found myself knee deep in bookmarks again and I appear to be collecting a wishlist for every type of black leather boot there is! Almost every saved shoe is shade of black, most likely leather and of course a boot because that was the original purpose of my online shoe shopping spree. You may know by now that my staple footwear is a boot of some sort and beyond that a black boot is my go-to. To have a collection of every shape, height and style would be a dream! The collection below would do my quite nicely - especially because of the variants in heel height. I thought I'd show you some favourites from my shoe shopping list, explain why I like these types of boots and how I wear them. 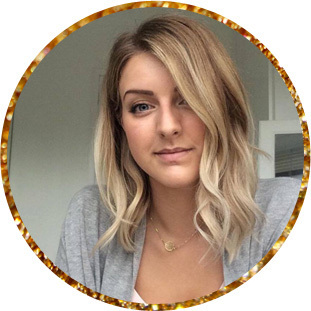 Heeled or flat ankle boots are an all year round favourite of mine, even in the summer I'm caught wearing my favourite black leather ankle boots for a trip to the pub or walk about the local country house gardens. 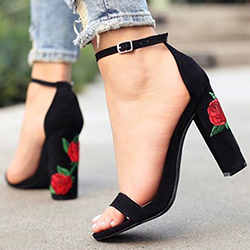 I wear ankle boots (tall or flat) with everything, and I mean everything, denim shorts and plaid shirts, floral summer dresses, pencil skirts for work and of course both skinny and bootleg jeans. This ankle high footwear is super versatile and goes with everything. From left to right these are ankles boots by H by Hudson, Sam Edelman, Tommy Hilfiger and Kookai. Calf boots are a little more tricky to style in my opinion but I still like to have a variety of pairs lying around because I've found them to be perfect transitional footwear. In autumn and spring when the leaves begin to fall and the temperature begins to drop you need that little bit of extra coverage and calf boots seem to do just that. I only wear these with leggings and long tops or jeans because with other types of bottoms they can cut me off and make me appear shorter - they just don't work with dresses and skirts. 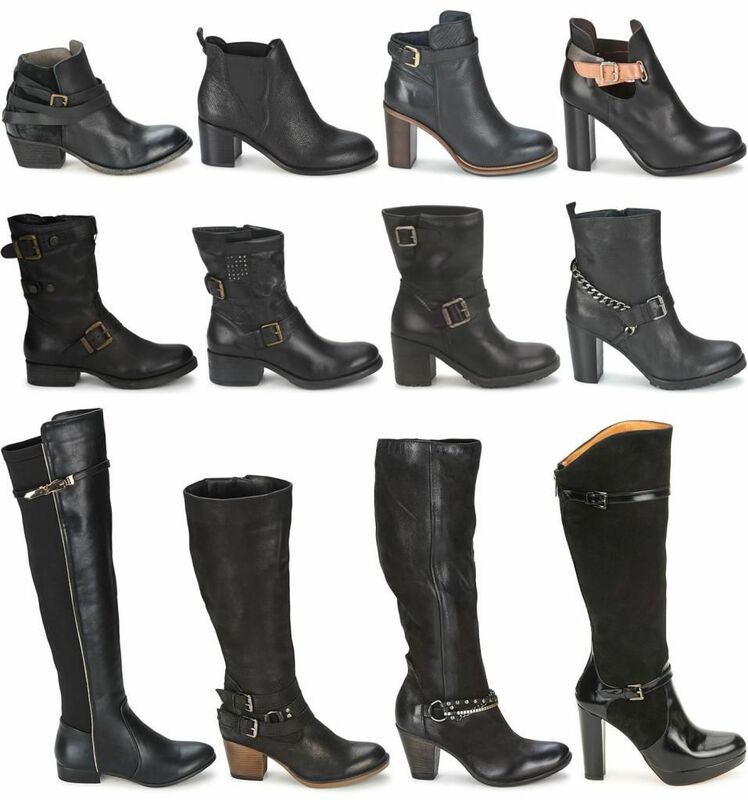 The biker style boot is my favourite for calf highs and one that I feel works the best in a variety of colours which is why all four heights I've chosen have a buckle or two with a rounded toe and straight cut top. I have a new found love for knee high boots with skirts and dresses. I've seen a lot of promotional fashion photography where the models have been styled in a pretty floral navy blue dress (or similar) and knee high tan or black boots, it looks great. Whilst I love knee highs and over knee boots with jeans, jeggings and leggings I'll definitely be trying this style out soon so watch this space. From left to right these knee high and over knee boots are made by Ravel, Ravel again, Dream in Green and Fericelli.